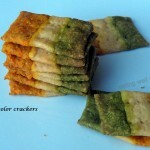 I am always trying to improve my recipes for crackers, you know why? Because they are so popular in my house, I need to make a fresh batch every few days. I try to make it more interesting by changing a few things, and recently started adding nutritional yeast flakes. The result is awesome. 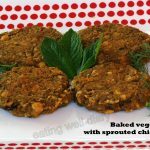 Packed with whole grains and nutrition, these are easy to make and will make any evening party enjoyable. Preparation time: 15 minutes to prepare and 20 minutes to bake. Makes approx. 45 crackers. finely chopped onion- 2 tbsp. red chili powder- 3/4 tsp. * In a mixing bowl, add all dry ingredients, spices. 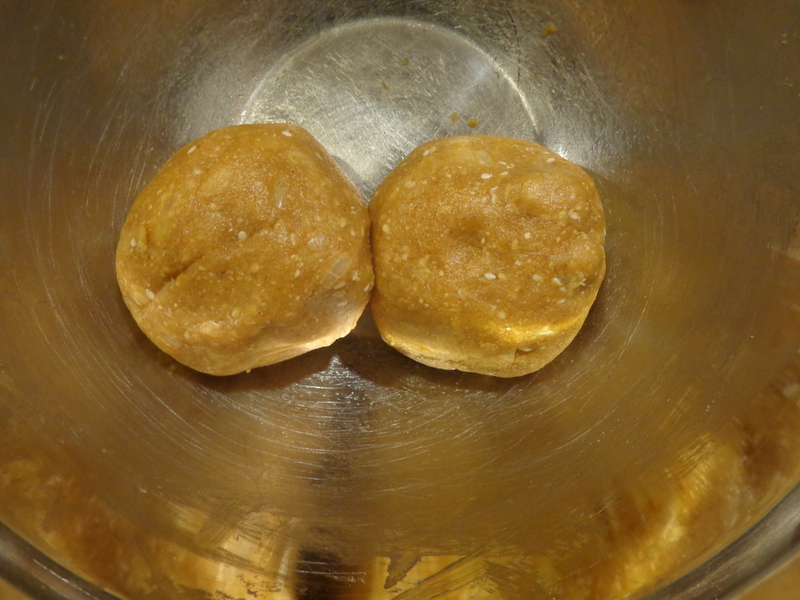 * Add oil and in the end, add water slowly while kneading to form a dough. Do not over-knead. Divide into 2. * Roll out each ball between 2 sheets of wax paper into a sheet 1/6 inch thick or even thinner, if possible. Use a pizza knife to form squares. Poke holes with a fork. * Spread on a baking sheet lined with parchment paper. * Bake at 350 °F in a preheated oven for 18-20 minutes. Sending this to Fiesta Fridays hosted by Angie! These look so delicious Apsara. Love the color :). We were talking about making crackers just this week. Bookmarked you. Wow! 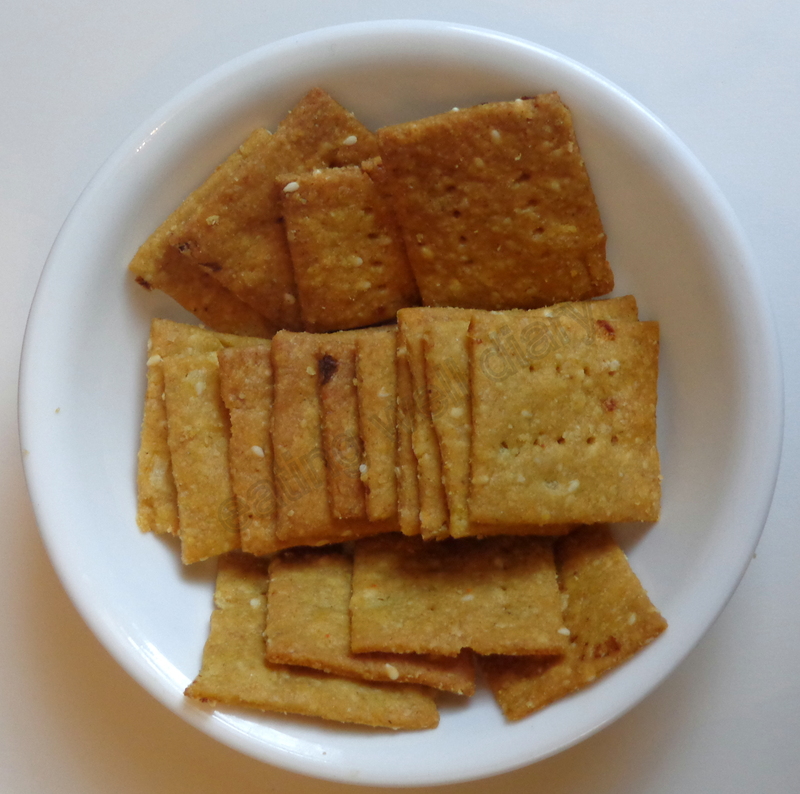 I had never thought of making my own crackers, but I would like to try yours. They look and sound fabulous! sure. these are easy to make too! 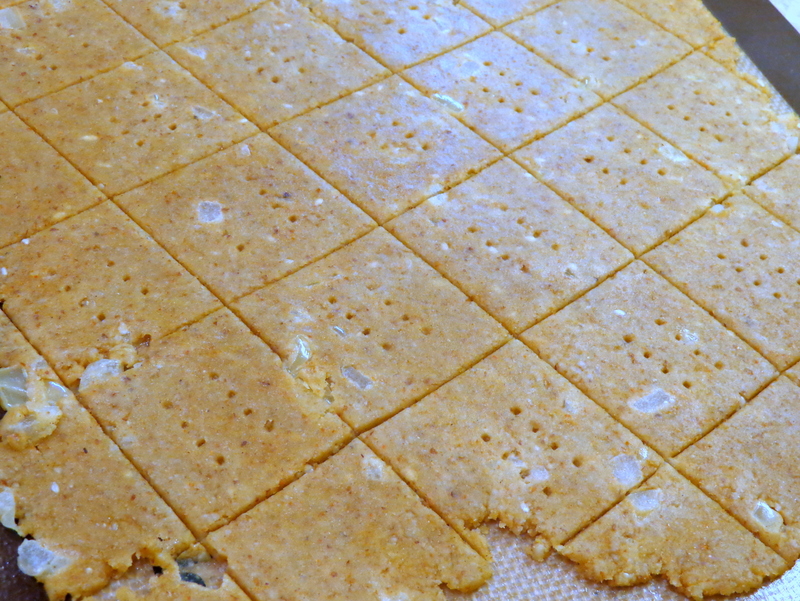 You are SO neat… these crackers look store bought… you’ve cut them up so falwlessly. Making them soon. I have never tried making crackers before! Your recipe looks amazing! I will try it definitely! I’m a huge muncher! I need something to munch on constantly and most of the times I end up eating whatever is available which is often unhealthy. These masala craackers are just what I need in my food cupboard! Perfect guilt free munchies ! yes, I hope you like them! Yummy! It came out very well. I added some mint too. Thanks for the recipe. thanks for the feedback, Jayashree. I love making cracked. These sounds delish! How tasty! 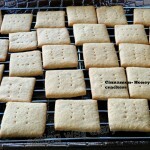 I love homemade cracker!